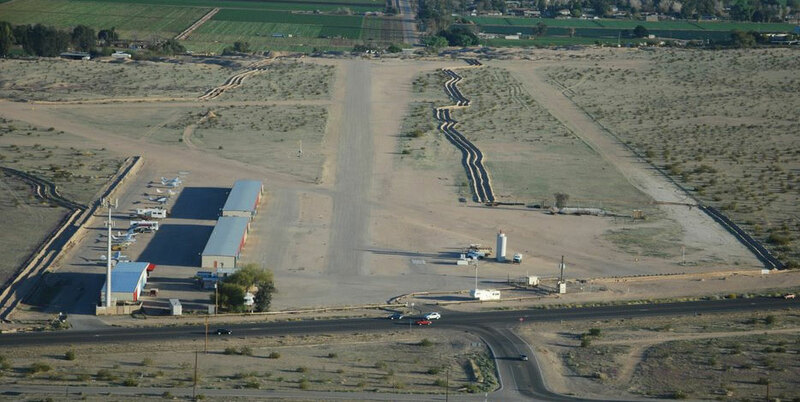 Somerton Airport (54AZ) is a private field located on US Hwy 95, two miles east of the City of Somerton, five miles southwest of Yuma. Somerton Airport supports Yuma International/Marine Corps Air Station military, commercial, and general aviation traffic. *Call in Advance to make arrangements. Full hookup or dry camping RV sites are available for short or long term stays. RV and trailer storage available. Please call Jim McDermott of McDermotts Lets Fly at 928-210-0104. Let?s Fly is an authorized NACP Chart Dealer. Members of EAA Chapter 590 get together every third Thursday each month from November through May for a potluck. Everybody brings their own food and drinks, Somerton provides the BBQ grill and friendly atmosphere. All are welcome so please call 928-580-5618 for more information. Cocopah Casino and Resort is one mile east of the airport. Arrange with Eric for a free tiedown and room rate discount at the casino hotel.